In this tutorial, we are going to show you how to control your Arduino MKR1010 with MQTT and Wia. Connect the MKR1010 to your computer using the USB. In Arduino, create a new sketch and remove the code that is automatically generated. If this is your first time using the MKR1010, we recommend you follow this tutorial first to set up your environment. If you do not follow this tutorial first, you are likely to find trouble when selecting the correct board and port in the Arduino IDE. In the search bar, search for the below libraries. 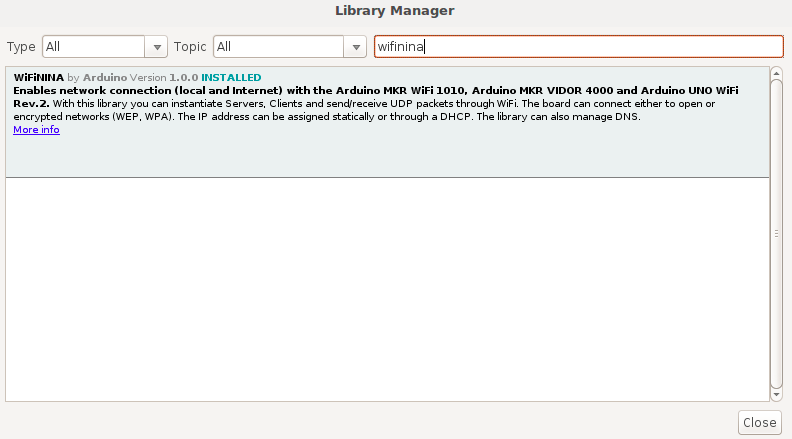 When found, click on the library and a button will appear in the bottom right of the box that will allow you to install the library. Go to the Wia Dashboard and Create a Space. Name it whatever you like. Open your space. 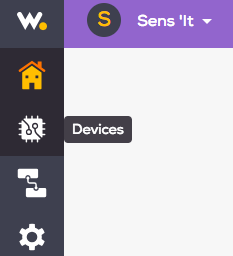 In the left side menu, select Devices and Add a Device. Give your device a name and finish. Now, in the Devices tab, you can see your device. Select your device. Navigate to the Commands tab in the top bar menu. Click Add Command and name the command Ping. In the top menu, navigate to the Configuration tab. Here, you can see your Device ID as well as your Device-Secret-Key. We will need this information for the next step. // You need to set the IP address directly. This code must be edited. Once those changes are made, upload the program to your device by clicking the Upload icon in the upper right corner. In the Wia Dashboard, navigate back to Devices > Commands and run the Ping command. In the Arduino IDE, open the Serial Monitor by clicking the icon in the upper right corner of the sketch. Here, you can see that your Ping message from Wia was received. Which MQTT library should be used?